"This is a layout of my hubby and me having one of my favorite treats - a Dole Whip Float! We enjoyed this delicious frozen refreshment on our 2nd visit to Disneyland, in May of 2016. If you have never had one, it is a frozen pineapple "ice cream" ( it is non-dairy,) in fresh pineapple juice! YUM!! I cut the cup of Dole Whip from a photo. I love the little puffy pineapple sticker, and the pineapple paper too! 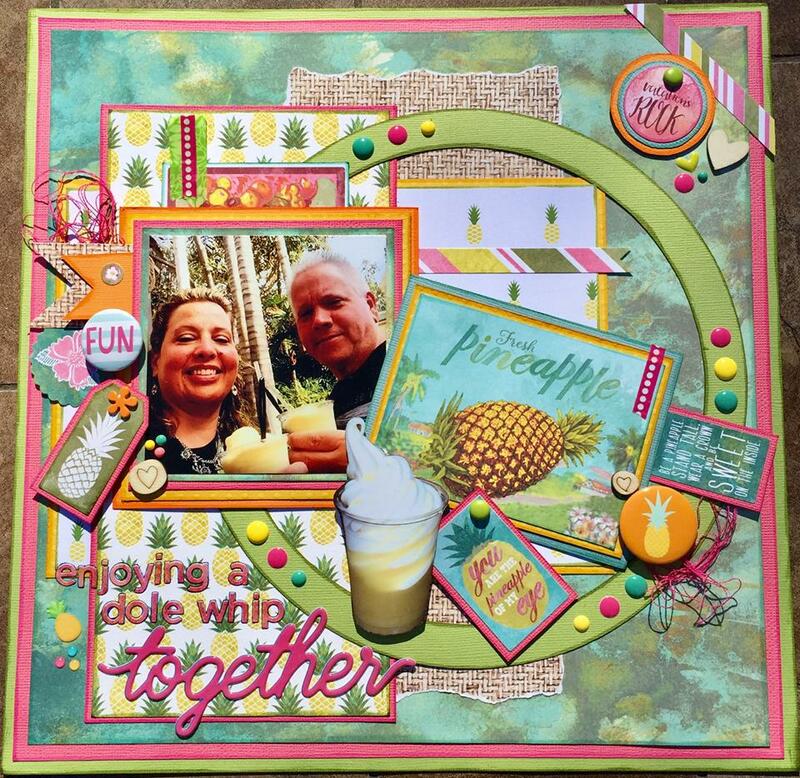 Flair is my new favorite embellishment - and the pineapple one is just perfect for this layout!